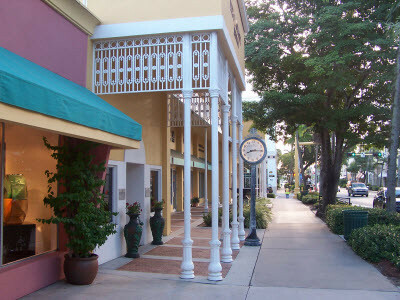 Once upon a time just a small, sleepy fishing village, Naples, Florida has quickly become an internationally recognized vacation destination and the definition of luxury living on the Gulf coast. The lifestyle, varied culture and environmentally conscious attitudes of Neapolitans have molded this Southwest Florida gem into one of the most attractive locations in the world to vacation, retire or live year-round. 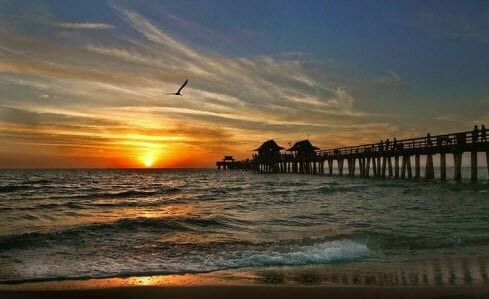 Today, Naples, FL is much more than just beautiful beachfront real estate along the Gulf of Mexico. Naples is a great place to live for many who are seeking the ideal balance of a warm tropical climate combined with a laid-back sophistication that no other Gulf coast city can match. 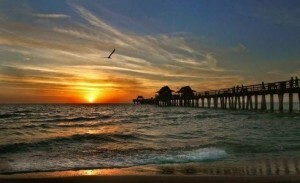 There are so many good reasons to live in Naples, FL. Many people consider Naples when looking for a second home or retirement destination that is vibrant and full of character. It has been described as clean, friendly, luxurious, easy going, cultured and, well, Neapolitan. Sounds pretty perfect. It is! With close proximity to I-75 and Southwest Florida Regional International Airport, the vibrant Naples downtown area offers plenty of choices to satisfy everyone’s palate. From sophisticated shopping and fine dining on Third Street South to culture and entertainment at the Philharmonic Center for the Arts, there is no shortage of things to do. Step outside your door and experience Naples’ refined yet exciting way of life. Outdoors has never looked so enticing with some of the best boating and fishing on the Gulf of Mexico and over 10 miles of white, sandy beaches to stroll. Golf abounds with many of the most sought-after golf course communities in the area calling Naples home. Naples, Florida was founded by former Confederate general and Kentucky U.S. Senator John Stuart Williams and his partner, Walter N. Haldeman, the publisher of the Louisville Courier-Journal, in the late 1880s. The name Naples came later when marketers described the local bay as “surpassing the bay in Naples, Italy” and likened the climate to the Italian peninsula. In order to build Naples into a respectable city, Haldeman and the Naples Company built the first pier 600 feet into the Gulf of Mexico in the shape of a “T” to allow large ships to dock easily and bring in visitors and supplies. Although rebuilt several times over the years, the Naples pier we have today still retains that “T” shape even though no ships dock there. After the pier came the people. Naples quickly gained a reputation as a winter resort for socialites and celebrities like Thomas Edison Greta Garbo and Gary Cooper. Even today, many celebrities call Naples home or second home. In 1911, Barron G. Collier (the name behind Collier County), bought most of Naples including over a million acres swampland. He was a visionary for the area and planned to bring in the railroad and then, later, build the Tamiami Trail to spur growth further. In 1923, based on Collier’s pledge to build the Tamiami Trail, the Florida state legislature created Collier County, the largest county in the state. Collier spent more than $1 million of his own money to construct the Tamiami Trail which opened in 1926. It was the first paved highway linking Tampa and Miami, with Naples at a key point between. The Collier families continue to own significant amounts of land and real estate in Naples. Grey Oaks and Colliers Reserve are two luxury golf communities built by the different branches Barron Collier’s family. A true Neapolitan is a person who not only lives in Naples, but has a special place set-aside in their heart for our little piece of paradise on the Gulf. Neapolitans enjoy the simple things in life like walking the beach, strolling down Third Street South and just watching the sunset with the Naples Pier in the foreground. It’s the simple things that we usually remember the longest and those simple things are also the ones that make Naples, Florida so unique and timeless to everyone it touches.